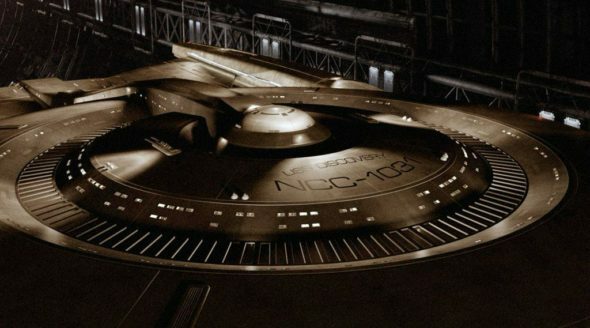 Star Trek: Discovery TV show coming to CBS All Access in 2017. USS Discovery photo courtesy of CBS Television Studios /©2016. Will the new Star Trek: Discovery TV series, coming to CBS All Access in January, boldly go where other Trek TV shows have not? Rumor has it Star Trek: Discovery will not be set after Kathryn Janeway’s (Kate Mulgrew) tenure in Star Trek: Voyager, despite previous theories. Check out the picture from CBS (above) for a clue. Given that the Kirk-Spock Enterprise has a higher registry number of NCC-1701, I’ll declare now that CBS’ new ‘Star Trek Discovery’ adventures are set before Kirk, Spock, McCoy and Scotty started hanging out together on the Enterprise. I also asked Fuller about Starfleet’s super-secret black ops operation Section 31 (the one depicted in ‘Deep Space Nine‘, ‘Enterprise‘ and ‘Into Darkness’). Is it a coincidence that the Discovery has that ’31’ at the end of its registry number? ‘There are aspects of our first season that, depending on how well versed you are in that mythology, you could either read into it a connection’, said Fuller, ‘or not’. Keep your eyes glued to the Internet on Aug. 10; Fuller says he’s going to ‘spoiler it up’ during the ‘Star Trek’ panel on that penultimate day here at the Television Critics Association summer press tour. What do you think? Do you already subscribe to CBS All Access? 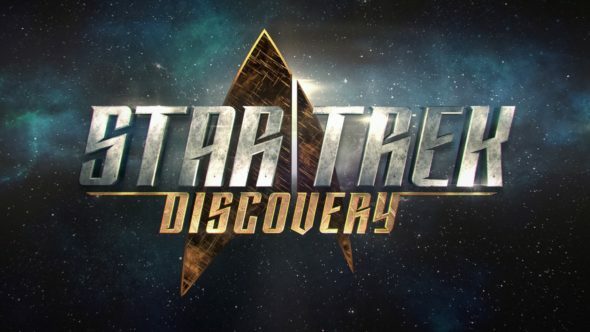 If not, do you plan to, in order to watch the new Star Trek: Discovery TV series? Tell us!